The Mydo in Swakopmund! Catching kob on plastics and spoons in Namibia! The next time you are headed up the West Coast of Africa in search of bending rods and screaming reels, pop into Leons Tackle Shop in Swakopmund, and another in Henties Bay, to stock up on MYDO Luck Shots and SS Spoons. Whilst in Henties and Swakop recently, the kob were going mad – all in the 10 to 12kg size range. Anglers were dotted up and down the gruelling coastline – this is another type of fishing that’s for sure. With the baking desert behind and the ice cold ocean in front, conditions here are harsh – but oh so worth it! And the kob really dig it here too! Leons has been servicing the local angler fraternity for an eternity, advice from the crew there is invaluable and contemporay. The fish seem to move up and down the coast in huge shoals so it’s common to see well rigged 4×4 vehicles tearing up and down that famous coastal road all day and night long. So knowing where the fish are and what they are feeding on is vital to the success of your efforts. Hit Leons and get the inside information! And then in closing, check this out…! 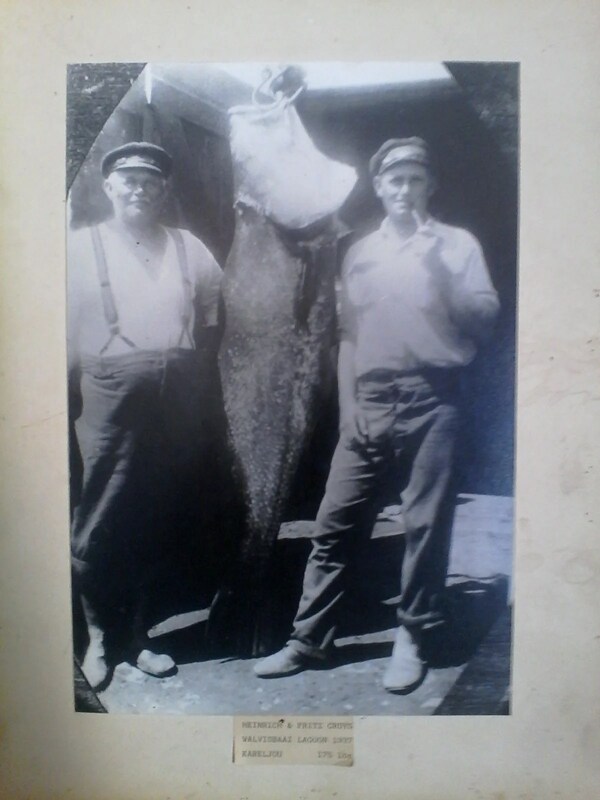 For a taster of the kind of fish you could be tussling with, this fish was taken in 1937 by brothers Frits and Heinrich Cruys, in the Swakopmund lagoon. It weighed 175lbs!!! 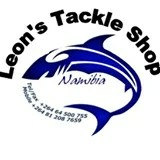 You can by MYDOs in Swakopmund, at Leons Tackle Shop.